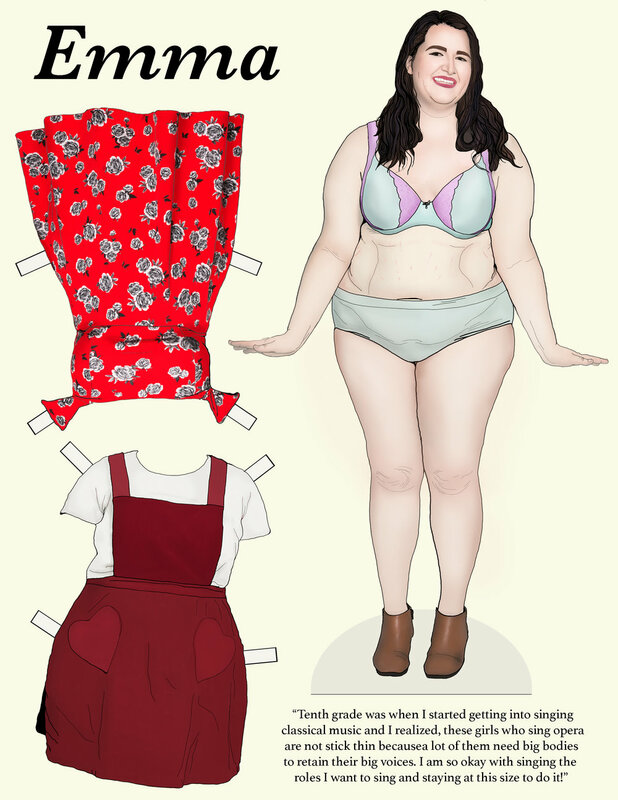 The Paper Doll Project was started as a body positive line of functional dress up dolls that young girls and young women can relate to. Each page features the body, clothing, and story of a real woman who identifies with having a body that defies conventional standards, in this case being plus-sized or overweight. Further editions of this project featuring more individuals, more body types, and more personal stories about body and beauty are in the making.